Are you interested in spending some money locally but worried that it might just be too much work? 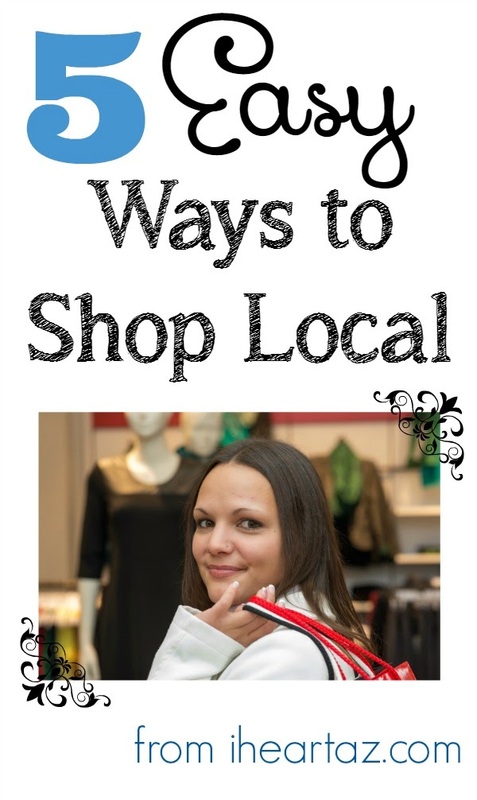 Here are 5 easy ways shop locally. 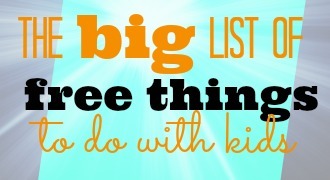 Even just making one small change is a good start! 1. Switch to a credit union. The main difference between a bank and a credit union is that a credit union is owned and governed by its members. It use to be that banks offered more services and easier banking than credit unions. That is just not the case anymore. In addition, most credit unions are open to anyone in the state and do not have strict guidelines for membership anymore. In Arizona there are several credit union options including the largest credit union in the state, Desert Schools. Personally, I have had a Desert Schools account since I was a teenager (back when you had to be a student or teacher to receive a membership). I've heard lots of complaints from people over the years about their banks, things I have never had to worry about as a member of Desert Schools. For more information about credit unions, go here. 2. Learn the local brands. 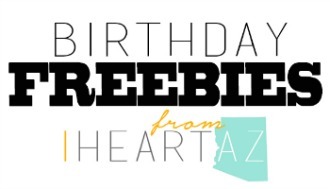 A quick look at some lists on Local First Arizona will help familiarize you with some brands that are made right here in Arizona. There are lots of items that are at your regular grocery store (yes, even at Walmart and Fry's) that are from our state. A recent survey estimated about 85% of all grocery stores sell local items. This includes produce, flowers, meat, dairy, eggs, and other items. Read this article here to help you know what to look for when you shop. Start spending just 10% of your money locally. This is not a drastic change and will benefit you in ways you did not expect. Our shop local experiment experiment has opened my eyes to new stores and new business owners in my community that I had not paid attention to before. Local First Arizona has a simple calculator to estimate the impact your family can make on the local economy by shifting 10% of your spending to local businesses. 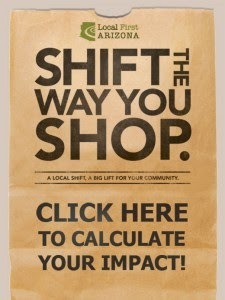 Calculate the impact of spending 10% locally by clicking on the image. 4. Pick a local restaurant. This is my favorite way to support local businesses. You probably already have several local restaurants that you love. 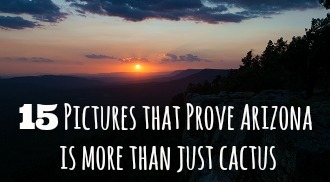 And more than likely, there are lots more out there that you would love if you tried some new places. Ask your friends for recommendations, or check out review sites like Yelp for some new ideas. 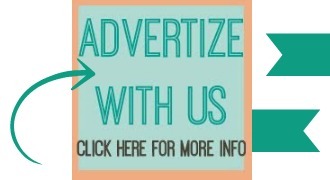 For a deal, look on sites like Groupon, LocalDines.com, Restaurant.com, or Living Social. Buying used is good for your pocketbook, our planet, and our local economy. There is nothing more local than buying directly from your neighbors. Even if you are shopping at resale stores that are national chains, some of your money is going back to local people who are selling their items at the store. Other places to look: online resale groups like Craigslist and Facebook, yard sales, and local thrift shops. An update on our shop local month. This month, my family has committed to doing as much of our spending locally as possible. We are halfway through the month and have learned quite a bit about shifting our spending. First, some things have been easy to change and some have been hard. Buying food locally seems to be the easiest change. We are fortunate to have so many farmers markets and farm produce programs to support in Arizona. And really, shopping for food from local farms is likely the most important change you can make. Buying fresh, local food not only affects our economy, your carbon footprint, but also can impact your overall health. After spending first at farmers markets, I am shopping at Bashas and Sprouts (both are Arizona companies.) I hate that our local grocery store chain, Bashas, has had to close so many stores due to competition with national companies. I feel really guilty that one of them was near my house and I didn't shop there very often. That is going to change. This week we had the third birthday in our family for the month. 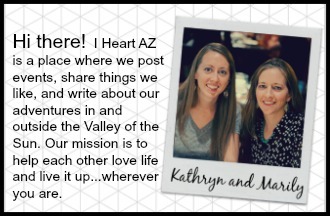 I have been busy being a mom of four, working on this blog, and various other projects. All of the sudden I had another birthday to shop for and another birthday party to host. My time and money was limited and shopping locally for my son's birthday didn't happen. In the end, we opted for a Target bike for him over a local bike and a trip to Walmart in the middle of the night for party supplies. This party was brought to you by Lego, Pinterest, Walmart, and 12:30 AM. I figure with the money we saved buying a bike from Target we have more money to spend in other ways at local businesses. I am expecting since this week isn't as busy that I will be able to do much better at local shopping. Wish me luck! What do you do to support local businesses? I'd love to hear!